With an overall tally of 66 medals, which includes a grand haul of 26 Gold medals, 20 Silver and 20 Bronze at the Gold Coast XXI Commonwealth Games, the Indian contingent surpassed the tally of 64 with 15 golds achieved at the last edition of the quadrennial event at Glasgow in 2014. The 2018 Commonwealth Games also became India’s third best outing ever in the event’s history. Over the entire stretch of the event at the Gold Coast, Indian athletes shattered 11 CWG records. India got off to a head start at the Gold Coast edition, courtesy a Silver medal in weightlifting by P Gururaja in men’s 56kg event on Day One. India's gold rush was set off by Weightlifter Mirabhai Chanu as she bagged the country's first Gold medal in the 2018 edition beating the Games’ record thrice in all her three attempts. It was shooting contingent though that added to the rich haul with a combined 16 medals (Seven gold, four Silver and five Bronze) followed by the wrestlers who delivered 12 medals (five Gold, three Silver, four Bronze) and weightlifters and boxers with nine each. Five Gold medals, two silver and two Bronze came from weightlifting and three medals of each colour came from boxing. Young guns were at the blazing best as 16-year old Manu Bhaker opened the account for Indian shooters’ Gold haul winning the women's 10m Air Pistol event. But the highlight among shooting contingent was Anish Bhanwala who bagged the Gold in men's 25m rapid fire pistol. At just 15 years, he became the country’s youngest ever Commonwealth Games Gold medalist. The Indian table tennis contingent wasn’t too far behind in springing a surprise for one and all. With a dominating display, the paddlers accumulated a total of eight medals, the highest by Indian table tennis contingent across all Commonwealth Games till now. Manika Batra became the most successful athlete at the Games bagging a total of four medals, two Gold medals and a Silver and Bronze each. In the process, she also became the first Indian woman to win a singles Gold medal in women’s singles TT event. The Indian shuttlers combined for a total of six medals at Gold Coast, surpassing the previous best of four from Delhi 2010. “On behalf of the Indian Olympic Association, I would like to congratulate each and every athlete who participated in the Commonwealth Games and brought glory to the country. Their hard work has paid rich dividends and I can proudly say that we as a nation are on the right path to becoming a sporting powerhouse. This edition of the CWG has indeed been special for India with some of our youngest athletes doing us immensely proud with their outstanding performances and I would also like to make a special mention about our women athletes as they have set a huge benchmark, most of them breaking the stereotype. They are undoubtedly a major inspiration for several young women in the country. 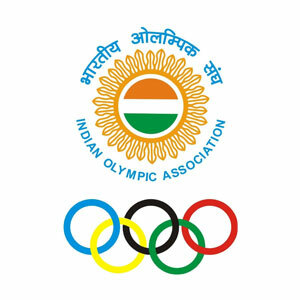 I wish all the athletes the very best in this Olympic cycle and hope they continue to improve upon their performance in the lead up to 2018 Asian Games and the 2020 Olympic Games,” said IOA President, Dr Narinder Dhruv Batra.